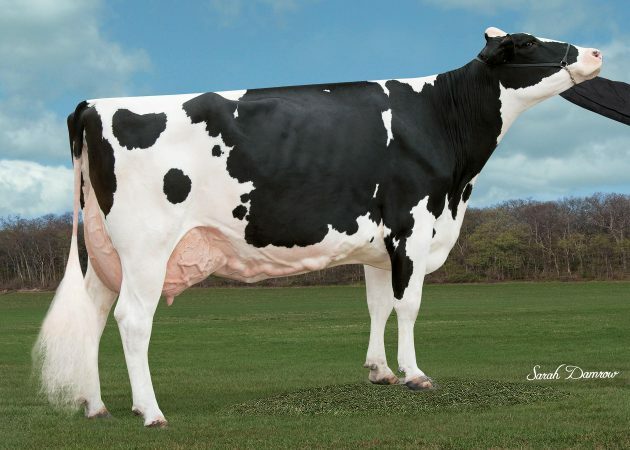 From Circle-Drive Holsteins: Take your pick of full sisters from the lovely Circle-Drive Damion Gidget-EX-93 3E. Selling are two Aftershock daughters, one already EX-91, the other VG-88. Both complete 11 generations of VG or EX. 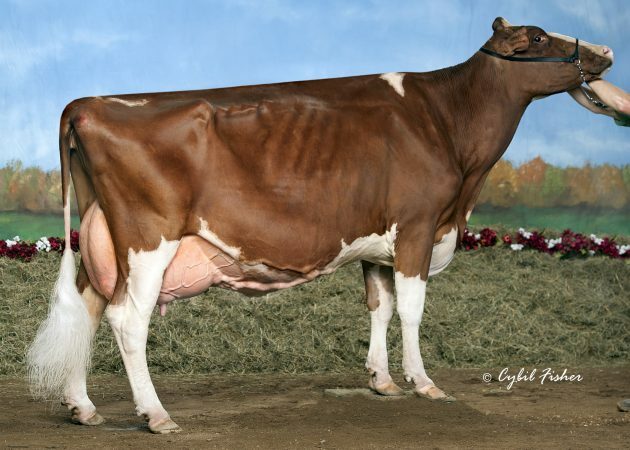 From Royal-Ridge: From the beautiful Lindenright Goldwyn Adore-ET-EX-94 4E sells a fresh two-year-old Durham. This is becoming a very popular family and here is your chance to own a daughter of the legendary Durham. From Circle-Drive Holsteins: Circle-Drive Braxton Girl-EX-93’s very stylish Atwood daughter sells springing to sexed Solomon. She’s bred to be a great young cow with a long pedigree full of VG and EX dams. From Kara-Kesh: Two descendants of Platte-Vu Advent Sara-Red-EX-94 3E sell. A GP-84 Apple Jax sells fresh with her second calf and needs to see a classifier. She is RC and polled. The second dam is a Red Moses looking to go VG and is fresh with her second calf. From Kevin Shafer: A VG-85 Airlift granddaughter of Regancrest-BP Olvr Tab-ET-EX-92 2E sells fresh and ready for more points. A beautiful young cow with a deep pedigree going back to the rock solid Snow-N Denises Dellia EX-95 2E. 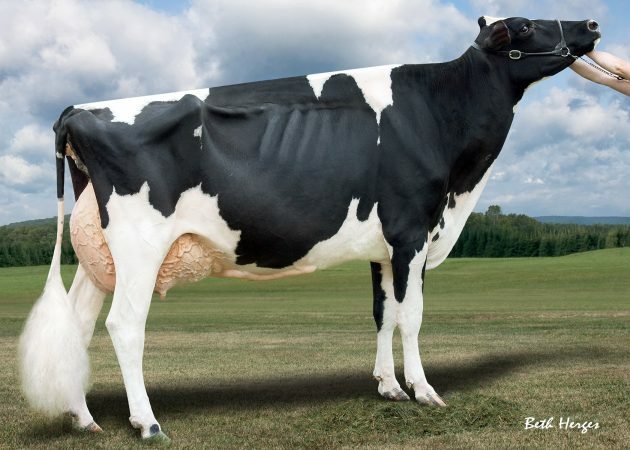 From Bernie Schmitz: A powerful young Ladd-P two-year-old cow sells fresh from this recently scored EX-90 Atwood. Backed by four more VG and EX dams, she completes a really nice pedigree to breed from. 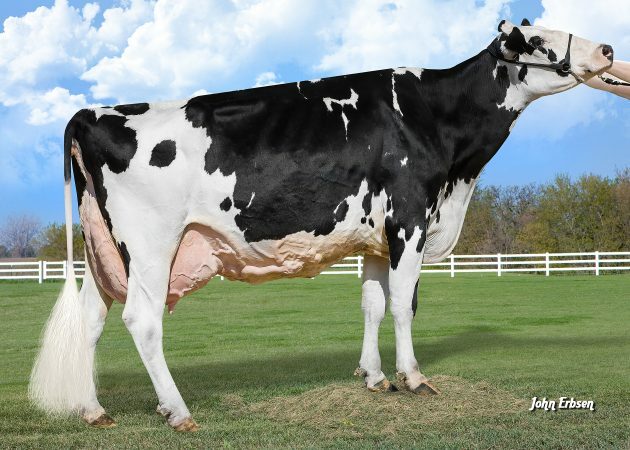 From Royal-Ridge: A big, massive springing Malone sells from Ms Angelinas Super Ava-ET-EX-93 4E, bred to Absolute. 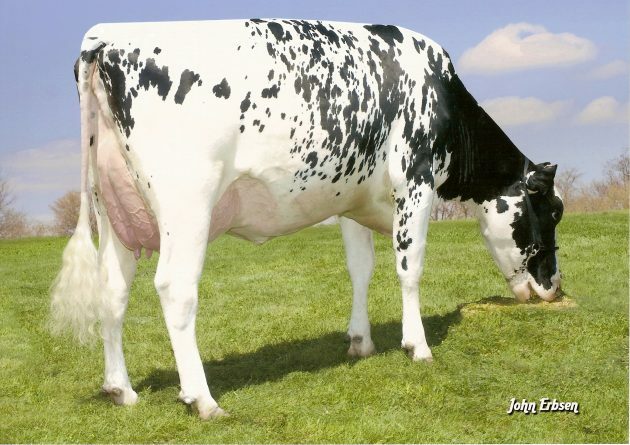 A huge pedigree with KHW Regiment Apple-Red-ET EX-96 3E as the 3rd Dam. The Fifth Annual Fall Harvest Raffle will also be held in conjunction with the sale. The grand prize for the raffle will be a choice of the four unique, young females with tremendous potential and $500, or $2,000 cash. The Minnesota Holstein Association was organized in 1910 for the purpose of improving and promoting the Holstein breed of dairy cattle. Today the MHA consists of about 800 members and is open to all persons interested in Holstein cattle. The South Dakota Holstein Association recently joined Minnesota Holstein and they have the same membership privileges. Some of the activities that the Minnesota Holstein Association organizes each year include breeders seminars, field days, state sales and the Minnesota State Holstein Show. Members of the Minnesota Holstein Association also receive the Minnesota Holstein News publication four times per year. The mission of the Minnesota Holstein Association is “To enhance the lives and profitability of all dairy producers and enthusiasts by providing opportunities for education, marketing, recognition and socialization.” To learn more about the Minnesota Holstein Association visit www.mnholstein.com or call (320)-360-5188.